As commercial insulation experts, we know how important having a quality and reliable insulation supplier can be. 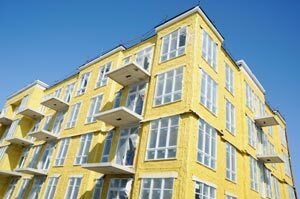 No matter if you need fiberglass insulation for an office building in Columbus or foam insulation for an industrial facility in Buckhead, Arango brings you the highest quality commercial building insulation for projects in the Atlanta area, throughout Georgia, and beyond. We know how important meeting those tight job deadlines can be, which is why we provide fast turnaround times and in many cases next day delivery and installation of your commercial building insulation. Contact us today for more information about our selection of commercial insulation. Also inquire about our commercial roofing services.